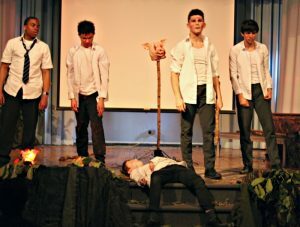 A large cast drawn from across the year groups took on William Golding’s dark modern classic for this year’s School Play. 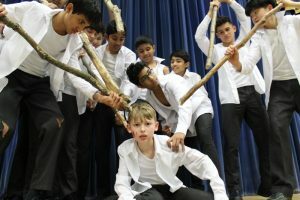 Lord of the Flies charts how a group of schoolboys stranded on a desert island descend into murderous brutality as they attempt to self-govern. 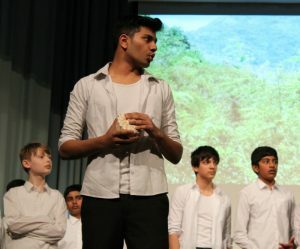 Performed over two evenings in the Main School Hall, the production saw actors from Years 7-12 lifting the veil on the darkness that Golding saw lurking behind the façade of civilisation. 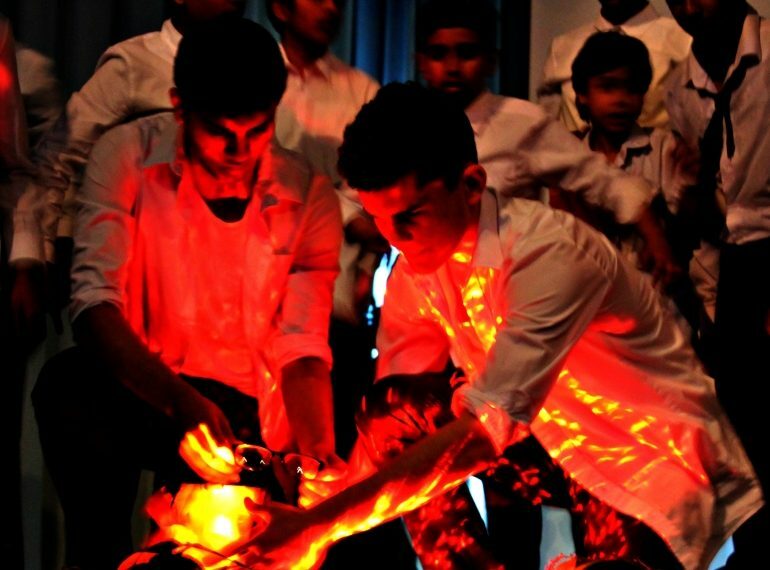 The novel draws on the violence and brutality of war that Golding, then a young schoolteacher, saw while serving in the Royal Navy during World War II. By the time the book was published in 1954, Golding was teaching English at Bishop Wordsworth’s School in Salisbury; it is widely believed that the book’s main characters were based on his real-life pupils. The book is also seen by many as a rejoinder to works such as R M Ballantyne’s 1858 novel, The Coral Island. Like Lord of the Flies, this features adolescents marooned on an island, yet while Ballantyne’s protagonists largely conquer the evil they encounter, in Golding’s work it is the evil which overcomes the boys. 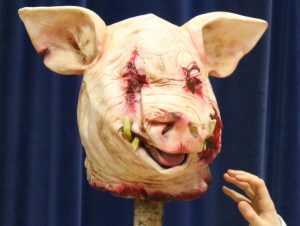 The phrase ‘Lord of the Flies’ is a translation of the Biblical title ‘Baal=Zebub’ or ‘Beelzebub’, a Philistine god viewed in theological sources as a significant demonic figure, or even the devil himself. Golding went on to write many other works, including plays, essays, short stories and poems, as well as other successful novels, including Pincher Martin (1956), which gives the thoughts of a drowning sailor, and The Spire (1964), about the building and near-collapse of a spire on a mediaeval cathedral. His publishing success enabled him to resign his teaching post in 1961. He won the James Tait Black Memorial Prize in 1979, the Booker in 1980 – for Rites of Passage, the first volume in his trilogy, To the Ends of the Earth – and the Nobel Prize for Literature in 1983. In 1988, he was knighted. Golding died suddenly in 1993. 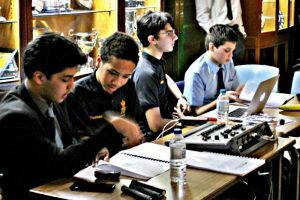 Over recent years, the School Play at QE has brought to life the writing of authors as diverse as H G Wells, J M Barrie, Agatha Christie, Charles Dickens and Robert Louis Stevenson.